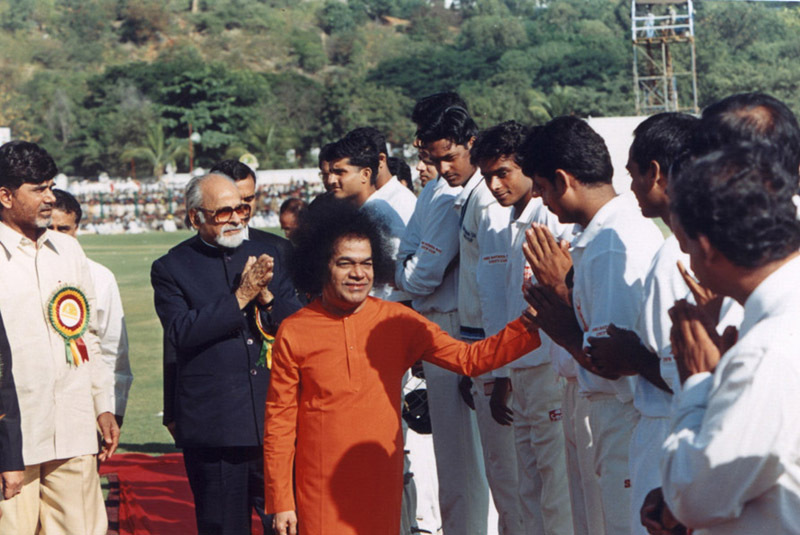 Bhagawan laid down very strict code of conduct for the students. Student hood is the phase of one’s life when one is expected to gain mastery over not only knowledge and wisdom but also over one’s own mind and body, enabling oneself to be well prepared to travel along the rough terrain of one’s life journey. Whereas secular knowledge helps in making a living, spiritual knowledge and wisdom shapes one’s life. Strict discipline for students has been an age old practice right from the time of the Gurukulas. When the boys and girls are young, studying in their schools and colleges; that is the time they are expected to gain in-depth understanding and insights about the body-mind-Atma complex and in the process; shape their attitudes, form their convictions, and develop the right world view and a holistic picture about life. As the physical body is trained to be fit and strong, the mind too has to be trained to be well tuned and in alignment with the dictates of the conscience communicated through the intellect. Thus, Bhagawan always stressed on the balance between secular and spiritual, between ability and nobility, between the head and the heart. For such a balanced pursuit, discipline of the body and the mind is crucial. In this posting, we will listen to Bhagawan talking to us about the strict code of conduct to be followed by students. His expectations are lofty and His standards are very stringent. But, unless students exercise such restrain during their student days, one cannot expect them to turn out to be ideal, responsible citizens in society in the future. Bhagawan spares no effort in communicating every detail to mankind. He goes into the details of how students should talk, walk, sleep and study. 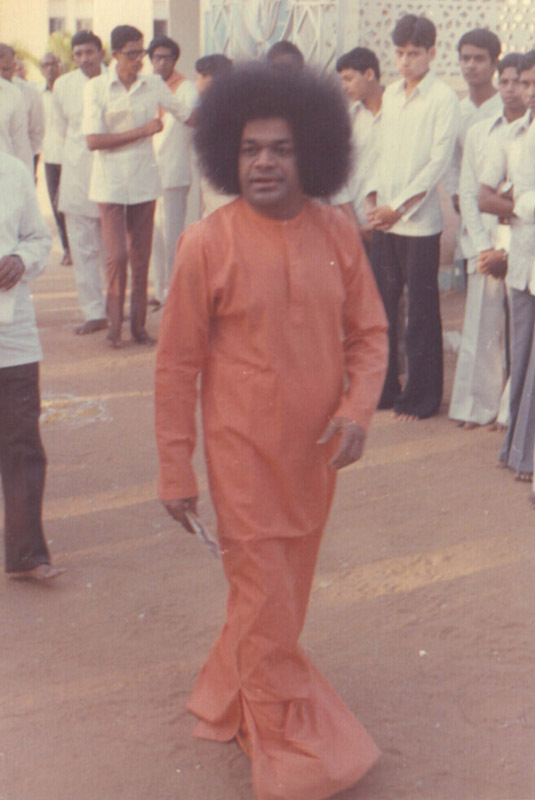 The five audio clips in this posting have been taken from the Discourse delivered by Bhagawan on the 23rd of May, 1990, as part of the Summer Course in Indian Culture and Spirituality, held in the Brindavan Campus of the Sri Sathya Sai Institute of Higher Learning. In Clip-1 Bhagawan explains how important control of senses is for the students. Clip-2 is about the discipline to be exercised in walking and talking. 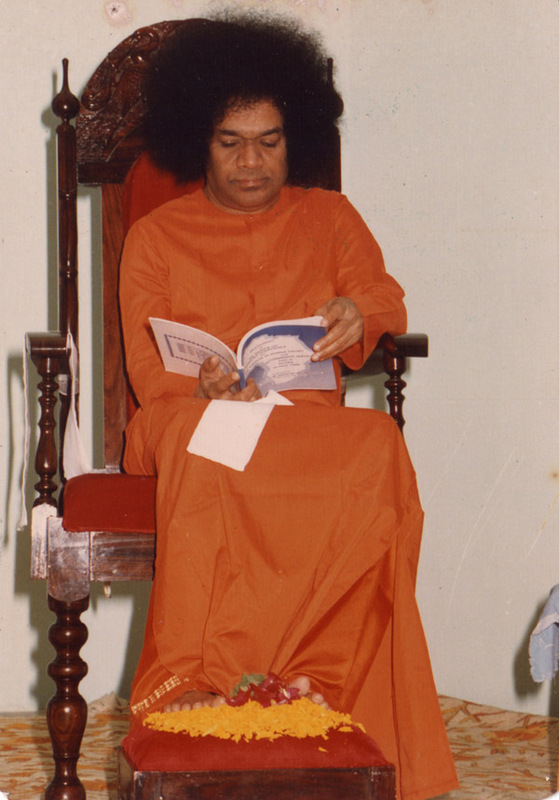 In Clip-3 Bhagawan explains the proper manner of conversing with and talking to others. Clip-4 focuses on the discipline to be exercised in sitting, sleeping and studying. Finally, in Clip-5 Bhagawan explains the inner significance of the need to sit and walk in an erect posture. Embodiments of Love, control of senses is the most important ideal for students. Happiness associated with the sense objects is not permanent. This gives you little joy and infinite sorrow. More than the sense organs, the sensory perceptions are very powerful. These are the Shabda (sound), Sparsha (touch), Roopa (vision), Rasa (taste) and Gandha (smell). Because the youth today are not able to control their senses, their walking, standing, sitting, are all following the path that is contradictory (to the right path). Not even one student is seen, who is able to sit in the class (steadily) without moving or changing his position. How should one walk, how should one sit, how should one sleep, how should one talk, how should one conduct himself when among elders; all these matters are just not known to them. When we look at today’s students walking in the bazaar (market), there seems to be no adequate place for them even on a 40 feet road. Prahalada described this as the Sannipata (disease) of the youth (According to the Ayurvedic science of medicine, Sannipata refers to the imbalance in the body/mind, on account of the aggravation of the three doshas (defects), viz. vata, pitta and kapha). One should walk by fixing one’s gaze on one’s footsteps. That is the right type of walk. Walking happens in one place, the sight goes somewhere else and on account of this, danger sets in and accidents occur. Thus they become targets of unnecessary trouble. By this type of practice we can make our senses equanimous to some extent. It is a very bad habit to stand in the bazaar (market) and keep talking. If there is any necessity, then after going to the Hostel and to your room, you may try to find out about that matter. Therefore, youth should not keep chatting while going in the bazaar. You must control your sight. We are human beings and not crows. Crows keep looking this side and that side and do not remain steady even for a second. Only when we follow such discipline, we will be able to achieve true humanity. Some people go around to every other person and keep talking. This is a very bad habit. They keep enquiring into the matters of others, “What did that person say? What did this person say?” Why should he be concerned about all this? Because of this bad habit, the sense organs become the target for more harm. We should not get into the matters of anybody else. Mind your own business and confine yourself to your needs. Talking to everybody you come across will make you lose your respect. Nobody will respect you. If anybody sees you coming on the way, they will exclaim, “O here comes the argumentative person”, and they will move aside. Whenever there is a necessity, just confine your speech to “Good morning, Good morning, How are you, How are you”, that is all, nothing more. When they sit, they sit like an old man of 60 or 70 years. This is not good. If the spinal column bends then old age sets in very fast. When you walk, you must walk like a straight stick. Even when you sit, you must sit like a straight stick (back must be straight like a stick). You should not bend. Only when we practice like this physically, the sense organs will come under our control gradually. Some people appear all the more awkward when they go to sleep. They become like the bundle that the washer man carries along with him by tying all the clothes together. They bend inwards and shrink when they go to sleep. On account of this they also become susceptible to many ailments. They lie down and keep the book on the pillow. They bend their legs like a bow and arrow and study. For such people (studying in this posture), how much ever they may study the texts, nothing will enter into their head. The body must be kept properly. If it (head) is raised at this end and (legs) at that end, it appears like tying an arrow. Because of such distorted practices, students lack memory power. If you wish to have good memory power, you must sit properly and study. If you are tired by chance, then close your book and go to sleep, very happy. There is nothing wrong in that. Why do you force yourself unnecessarily like this? You should not study when you are tired. With the objective that you have to study…you must study, you keep some tea next to you, and drink and sleep as you study. There is no use of studying in this manner. Apart from losing memory power, in the future, many dangerous diseases may also affect you. Your hands and legs will start shivering. Rheumatic pains will commence. Therefore, when in the student phase, man must nurture his body in the right manner. For students, this is very essential. At the time of studying, we must sit in the proper posture and study; because, this body has a special and unique feature. 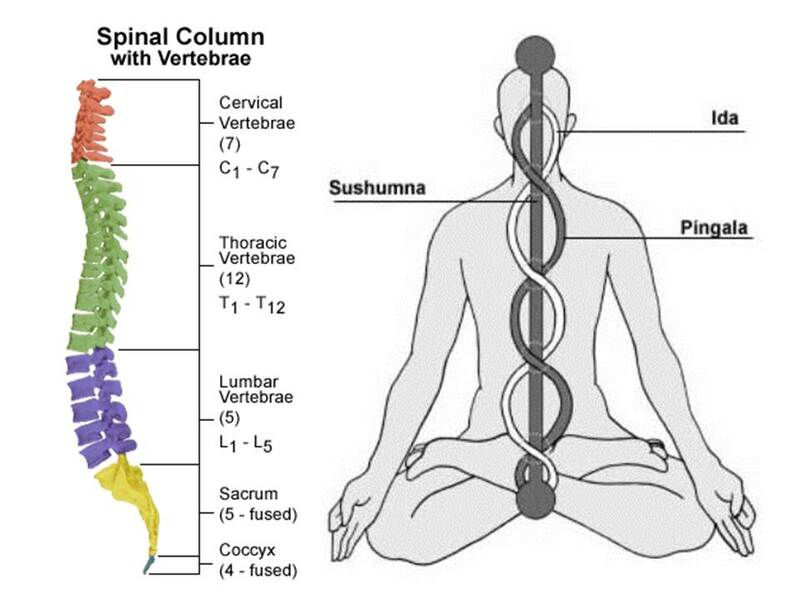 For animals and beasts, the spinal column is bent. But the spinal column in human beings is straight. The path from the Moolaadhaara to the Sahasraara is a straight path. The right type of thoughts will flow when seated in the right posture. 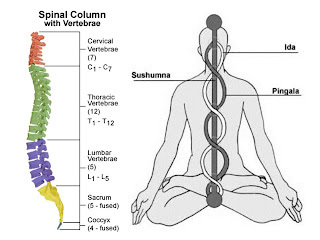 If the spinal column is bent, the thoughts will not flow in the right manner. In every human being there are 101 nerves. Among them, one nerve stands apart. This nerve is associated with the Sahasraara. This will be helpful to the people who strictly follow the spiritual path with all discipline. Thus, this nerve is very important. It is called the Sushumna Naadi. In the principle of the Ida, Pingla and the Sushumna, when they (Ida and Pingla) meet the Sushumna at the intersection of the eyebrows, they give a unique power of concentration. (Brilliant like a streak of lightning set in the midst of the blue rain-bearing clouds, slender like the awn of a paddy grain, yellow (like gold) in colour, in subtlety comparable to the minute atom, (this Tongue of Fire) grows splendid). Just as, when there is a lightning in the midst of dark clouds, there is immense brightness; in the same way, in our spinal column, the Kundalini shines like the Vidyullekha (a streak of lightning). This is the very basis of our life. Those who practice the Kundalini Yoga will understand this well. Whether you practice any Yoga or not; you must maintain your body in the proper way. 01-What are the five sensory perceptions? 02-What is the habit of the crow that Bhagawan asks us not to follow? 03-What is the outcome of being a very talkative person? 04-What is the discipline that we must exercise while talking or conversing with others? 05-What is the correct posture for sitting or walking? Why? 06-What are the typical wrong postures adopted by students while studying? Why should we avoid these postures? 07-What is the uniqueness of the Sushumna Naadi? Where is it located? 08-What is the reference to the Sushumna Naadi made in the Vedas? Which mantra is this?